Montoyo, however, gave Snell all the credit for keeping his hitters off-balance during Saturday’s game. 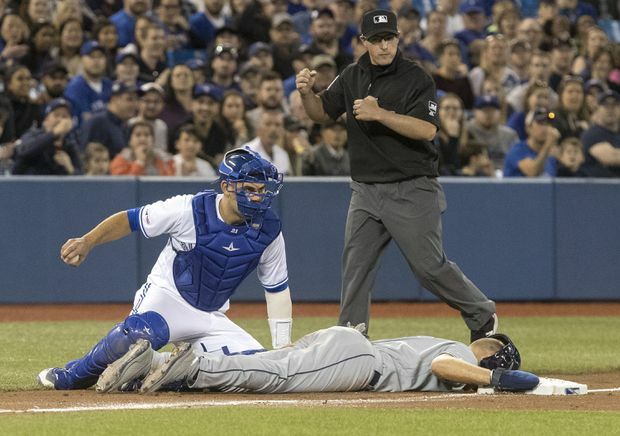 “He’s one of the best pitchers in baseball, that’s just it,” said Montoyo, who served as a coach with Tampa for four seasons before he was hired as Toronto’s manager in October. “I could give him all kinds of compliments but he’s just one of the best pitchers in baseball. Toronto’s defence also committed three errors on the day and Montoyo credited the Jays bullpen for keeping things together. NOTES: Infielder Richard Urena was optioned to triple-A Buffalo before the game to make room for Buchholz on Toronto’s roster. … Attendance was 20,771. … Marcus Stroman will start for Toronto on Sunday in the finale of the three-game series. He’s 5-5 with a 4.58 ERA in 13 career starts versus Tampa Bay.